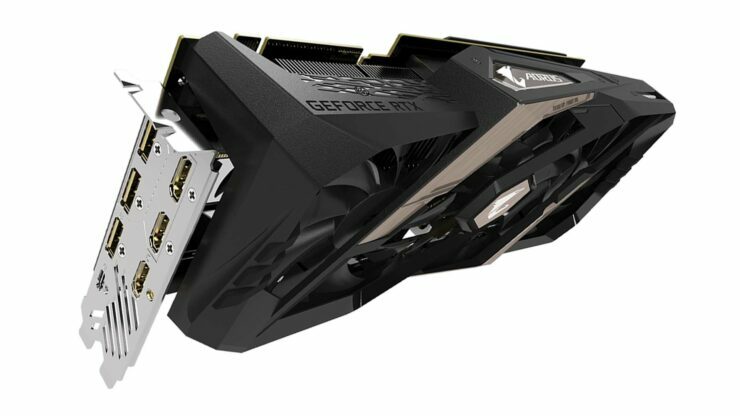 As you may already know the NVIDIA RTX cards have launched, though most users generally will purchase non-reference cards. Today Gigabyte released a prmotional video of their Aorus branded GeForce RTX 2080 XTREME 8G. The XTREME 8G uses their Windforce triple fan cooler, which uses rather large 100mm fans, with direct heatpipes and 12+2 power phases, uses a metal backplate with the Aorus logo lit up with RGB illumnation, and you can actually see a mock up of the lighting on the cards on gigabyte’s product page. As for the lighting the lighting options on the XTREEME 8G Aorus has used are more restrained compared to other cards to aim for a bit more subtle lighting rather than a neon light show. Gigabyte says because they have used the 5V RGB LED you can control the RGB effects through their Gigabyte RGB Fusion software and Aorus Engine for overclocking, we aren’t aware if other motherboard software will be able to control the lighting as well. It also includes Gigabyte’s Power indicators which will flash on the PCB side of the GPU when power is unstable or behaving abnormally. Gigabyte Aorus has gone all out with its video outputs on the XTREME 8G, the reference card only allows up to 5 outputs, though this one has 7 with a maximum of 5 used at any one time, in a triple HDMI, single DisplayPort and USB Type-C output or triple DisplayPort, single HDMI and USB Type-C connector for more options for those using multi monitor setups. For more information you can check Gigabyte’s launch video here. 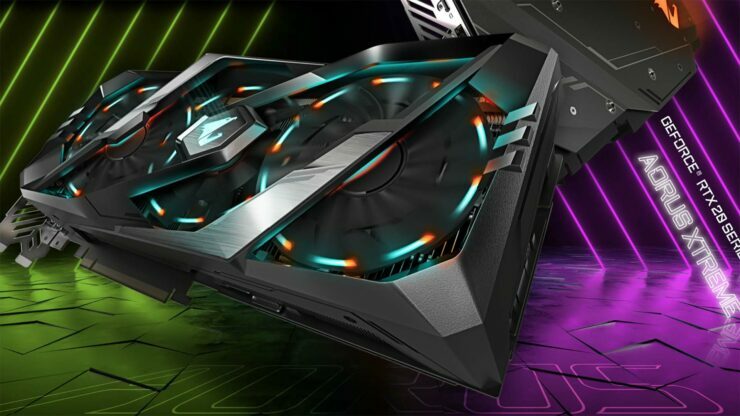 The Aorus RTX 2080 XTREEM 8G will be shipping soon, though prices have not been announced, but we expect it to be priced under $900 and has an amazing warranty of 4-years if you register online within 30 days of purchase. EDIT: Gigabyte has responded to our inquiry with pricing will be sent out before they hit store shelves due to market conditions for things like memory and supply. Clocks are also being tested and more info will be given as we follow.